Training & Learning Management Made Easy! 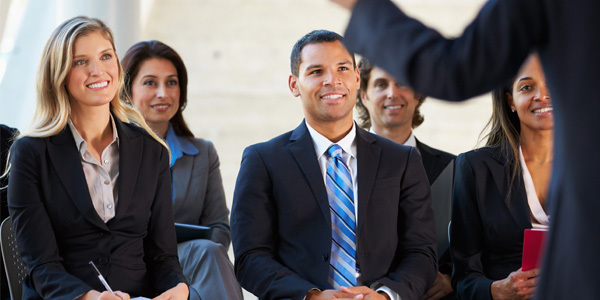 Do you organize training programs online or at physical locations? Would you like to have a web based solution that handles registration, payment, enrollment, online learning, attendance management, certificate generation and more? Look no further! 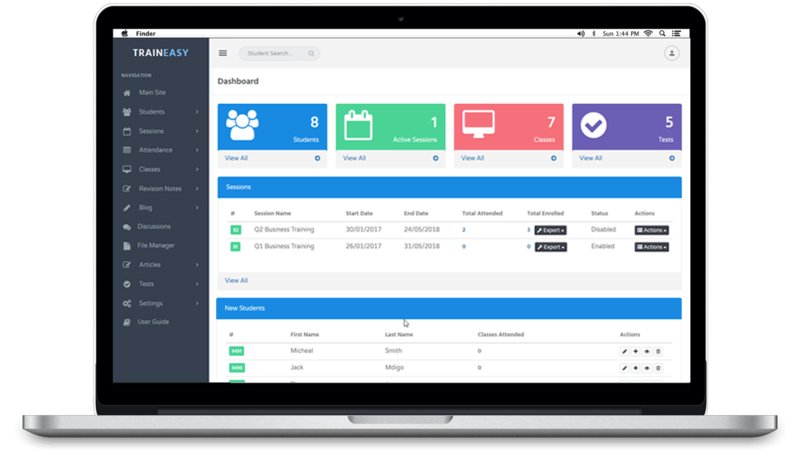 TrainEasy is your one-stop solution for managing your training program! TrainEasy is available as a cloud based service. Hence, you do not need to install anything! You simply sign-up and pay a low monthly subscription fee. Create multiple online courses, training sessions or a combination of both! Configure each based on your needs. Optionally enable payment collection for enrollment. The following payment methods are available: Paypal, Stripe, 2Checkout and Paystack. TrainEasy supports all currencies. Create multiple reusable classes and assign them to sessions or courses to create your online courses or session calendar. You can also assign instructors to courses, sessions and classes and schedule upcoming class reminders for students and instructors! Students can register on the front end of the application or can be added manually through the backend. TrainEasy also features a form builder that enables you to add as many registration fields and attributes to a student as you require. TrainEasy makes it easy for you to monitor and log attendance records for your students. There are multiple attendance logging methods available that enable you set attendance either online or offline. TrainEasy comes with a powerful online testing/assessment feature. Save yourself the paperwork and switch to TrainEasy’s computer based tests! Tests can be created with multiple options such as Time limit, Session restriction, Attempt limits etc. Students will see their results immediately after completing the test. Try out the fully functional demo. Test both the student site (front end) as well as the administrator area (back end).